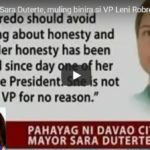 [VIDEO]: President Rodrigo Duterte’s endorsement of a candidate means he believes the person is “trustworthy,” his spokesman said. Panelo explains that the 7 graft charges of Marcos’ mother, Congresswoman Imelda Marcos are not final and executory yet. Besides, Imee is not Imelda. The governor does not have a single case of corruption. The media stunt of her family’s rival, Rep. Rodolfo Fariñas eventually boomerangs to him. Fariñas runs for her current position opposing, Marcos’ son, Matthew Marcos Manotoc. Panelo elaborates that endorsing Marcos does not contradict Du30’s stance against corruption. 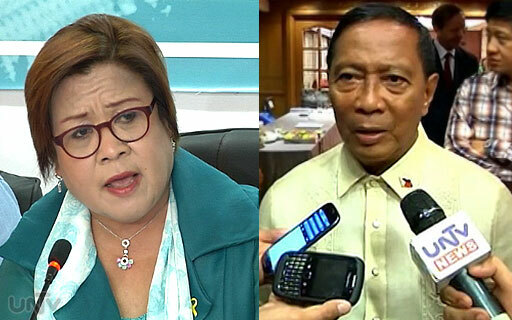 The Ilocos Norte Governor has not been charged with any corruption-related crimes in court. The President admits that he has a hard time fighting corrupt official because some of them are in his government pretending to be one with him. The President is very vocal that he wants to help Imee because she’s one of two governors, who helped him in the (2016) campaign. 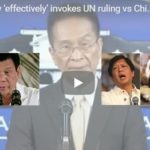 Panelo said in a Palace briefing that the president just follows the Filipino culture of returning the favors to those who supported him in his own bid. This is a noble gesture that is given bad interpretations by their detractors. The yellow press insinuates that Du30 recently reveals the names of senatorial candidates he would support for the May midterm elections. This includes Marcos. Her family allegedly has ill-gotten wealth during the regime of the late President Ferdinand Marcos. However, he’s the only president who has built significant infrastructures and improvements nationwide with every peso accounted for. The President who admires the Marcos patriarch condemns and fires government officials over allegations of corruption. 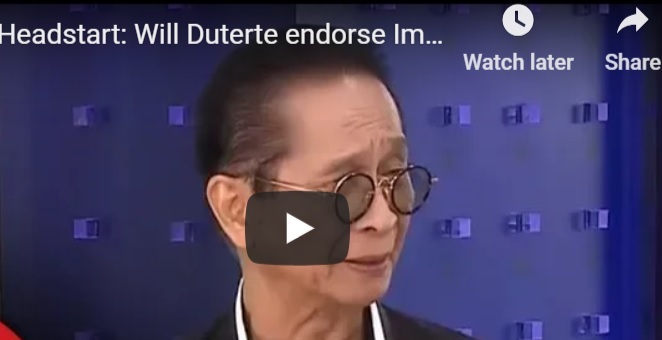 Panelo insists that the President is not firing corruption-tainted government officials without prior “investigation.” The Palace official also defends Du30’s endorsement of plunder defendant and former senator Jinggoy Estrada. He was among the lawmakers charged with graft and plunder charges in 2014 for alleged involvement in the multibillion-peso Priority Development Assistance Fund (PDAF) scam. 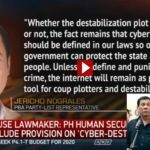 Many believe that Estrada and another former Senator, Bong Revilla are victims of ex-Pnoy’s selective justice. 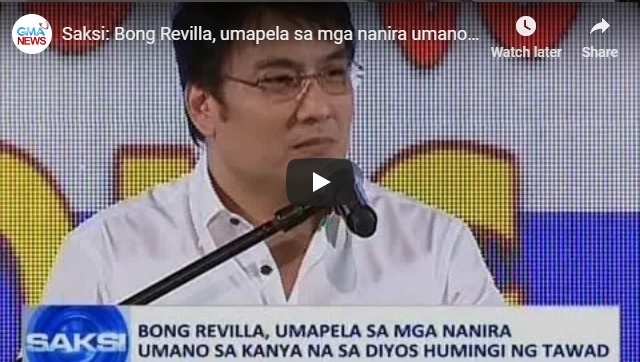 Former Senator Bong Revilla, who seeks to run for Senator during the election 2019 evades plunder charges when the Sandiganbayan acquits him. This is due to the prosecution’s “failure” to prove that he received millions in kickbacks from alleged ghost projects. Those were funds allegedly from his Priority Development Assistance Fund. This means that he is not liable to return the P124.5 million funds taken by the guilty ones contrary to some media reports. 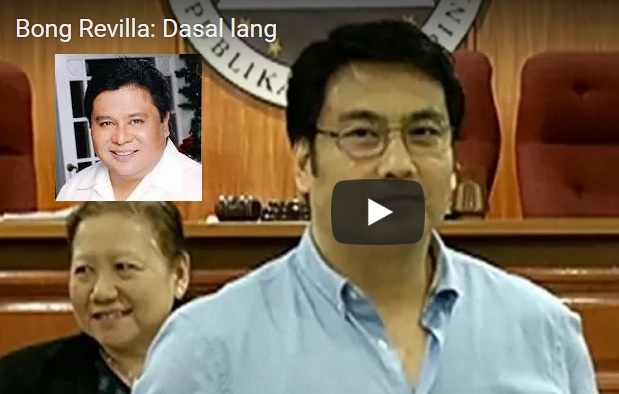 Revilla addresses them in a video announcement. The Sandiganbayan promulgates its decision about 4 years since the ex-lawmaker was held in prison. The prosecution fails to show that he is guilty beyond reasonable doubt. Thus, the reason for his acquittal. He still has 16 graft cases pending in connection with the same alleged pork barrel scam. 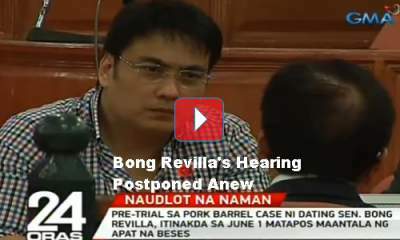 Some experts say that the prosecution fails to prove Revilla’s guilt beyond reasonable doubt. But the court seems to find that there are a lot of evidence against Revilla. That he “must be held as equally accountable to the People of the Philippines. This is with respect to the return of the money lost by virtue of the PDAF scam allegedly.” The Priority Development Assistance Fund (PDAF) known as pork barrel or funds set aside for lawmakers’ projects is now unconstitutional as per the High Court ruling in 2013. This happens during its exposé on its misuse during the Aquino administration. Revilla’s case is the first to have a favorable ruling among dozens of cases involving lawmakers’ PDAF. Former Senators Jinggoy Estrada and Juan Ponce Enrile are also facing plunder and graft charges. This is in relation to the scam wherein Napoles allegedly got ₱10 billion of lawmakers’ funds into bogus non-government organizations. Revilla, Estrada, and Enrile are all out on bail and are to seek a Senate comeback this coming election 2019. Revilla challenges his critics if they can ask for forgiveness from the highest being for what they have done unto him. 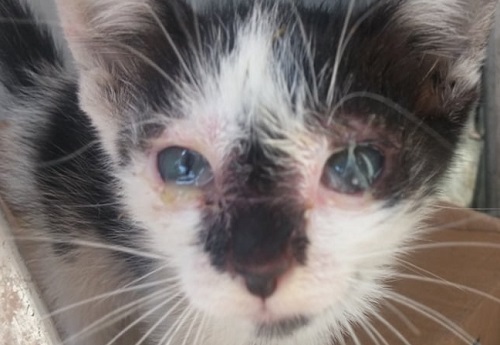 He said that he is just thankful to have survived his nightmare through the help of his family and supporters. It makes sense that his acquittal from the criminal case also sets him aside from the civil case. The Sandiganbayan voted 3-2 to allow former Senator Jinggoy Estrada to post bail. This is in connection with the plunder case filed against him for allegedly misusing P183 million in pork barrel funds. That left Bong Revilla alone as the prisoner of the previous administration for the same case. His lawyers are now working to follow suit as he entrusted everything to prayers. [VIDEO]: Ipinaubaya na raw ni dating Sen. Revilla sa kanyang mga abogado kung ano ang magiging diskarte sa kanyang petisyon na makapagpiyansa. Only a sudden change of heart would alter the voting and release of the decision. The ruling is to be executed soon. This is if there is no “supervening event.” As Revilla said; It looks like Estrada is already packing up his things to go home. He is very happy for him but also a bit sad that he will be left behind for the time being. Estrada, who is detained at the Philippine National Police Custodial Center at Camp Crame in Quezon City, already filed an omnibus motion before the anti-graft court. He seeks his release from detention. Estrada’s impending freedom follows that of former Senate president Juan Ponce Enrile, who was granted bail in August 2015 for humanitarian reasons. The President supports this development because he believes that if posting bail must be available to all the accused in that particular case. Estrada expresses his appreciation to the President whom he thinks only applies his knowledge as a former prosecutor. He is confident that Du30 studied their cases. That’s why he knows what he’s talking about. However, this worries the Sandiganbayan as Revilla could follow the same path. Also, this can lead to the acquittal of Senator Juan Ponce Enrile and Atty. Gigi Reyes’ cases. The development leaves Revilla as the only former Senator in jail for the priority development assistance fund or PDAF scam. Several lawmakers were accused of funneling money for years to fake nongovernment organizations set up by businesswoman Janet Lim-Napoles in exchange for huge commissions. Perhaps a good sign that Aquino’s influence now starts to fade. The Sandiganbayan’s First Division did not push through today’s plunder trial – instead, it is set for June 1. It’s the 6th schedule after 5 postponements since January. This is apparently to give way to the additional marking of voluminous evidence related to Revilla’s pork barrel projects. It allegedly allowed him to pocket P224.5 million in kickbacks. Lead prosecutor Joefferson Toribio defended the delay in the marking. He said that each SARO has 4 thick folders of evidence. Revilla’s plunder case is connected to 16 SAROs all in all. So, the enormous amount of evidence can use up a lot of time when scrutinized thoroughly. Toribio also complained that Revilla’s lawyers are also delaying the trial. Revilla’s chief of staff, Richard Cambe moved to withdraw some documents for being illegible. 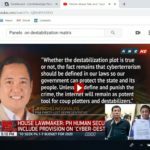 Toribio said that while producing clearer copies, Revilla’s lawyers refused to agree that the clearer copies and the original illegible copies are identical. First Division Chair Associate Justice Efren dela Cruz did not accept Toribio’s reasons because it was the Revilla camp’s prerogative to be thorough with the documents. Dela Cruz told Revilla’s lawyers: “He’s just concerned for your client who is detained,” which lightened up the mood in the court – but certainly, Revilla is for sure still frustrated with longer time in jail. The prosecution is due to present 48 witnesses who would prove that the projects supposed to be funded by Revilla’s pork barrel are non-existent. Revilla’s new lawyer, Estelito Mendoza, contested the inclusion of such testimonies which Revilla’s previous lawyers had allowed. But Dela Cruz mentioned that these testimonies can’t be removed just because a new lawyer wants to reorganize things. Among the accused, 8 were only charged who are not affiliated with the Liberal Party and Jinggoy Estrada, Bong Revilla and Juan Ponce Enrile are already in jail – who were considered as threats to the Aquino Administration before they were convicted. 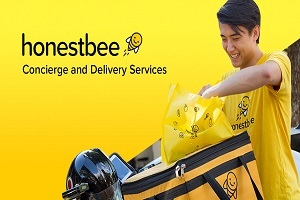 Another dirty game played by the Liberal Party? ; asked the critics.